Announcing the winner of Tecsun’s #DecodeToWin competition! Over the past eight weeks we have been running a competition to win a Tecsun PL880 radio. The purpose of the competition was to generate excitement around the capabilities of shortwave and promote Radiogram to budding amateur radio enthusiasts. Above all, what it’s really shown us is the importance of our shortwave community and how incredibly expansive it is. We’re a small, family operated business in Sydney, Australia, and because of shortwave we’ve connected with people all over the world, from Italy to Scotland, and from New Zealand to Slovakia. We also saw how innovative our community is – we’re problem solvers and when one person was having trouble they would take to Twitter for advice and would receive suggestions from around the world! We hope that it’s helped shortwave enthusiasts connect with each other, learn together and sparked new interest in the hobby. So, without further delay, we’re excited to announce that the winner of Tecsun’s #DecodeToWin competition is Carlo Giordani from Italy! Carlo used a variety of receivers and antennas to achieve his results, even making the effort to tune in and decode the Shortwave Radiogram when he went on holidays to Spain. For his efforts he wins the Tecsun PL-880 receiver! You can see Carlo’s decoded images on his Twitter @ceresss. We’re also happy to announce that we received so many really impressive entries that we have decided to send the top 10 entries a runners-up prize comprising of a Tecsun Radios Australia notebook, the Tecsun Radios Australia Shortwave Listeners Guide and the new Tecsun Radios Australia SWL Logbook. We will get in touch with Carlo and the 10 runners up directly in the coming days to get their prizes out to them. This competition has really stirred some renewed interest in shortwave reception and specifically Radiogram reception, and we will be sure to run more competitions like this in the future. Thank you to everyone who got involved with the competition. Together we can keep shortwave alive! Caught the SW Radiogram pictures from Bulgaria at 1400z from Punta Galera, Ibiza, with Tecsun PL660 (with is wire antenna) and Tivar as decoder @SWRadiogram @TecsunRadios. 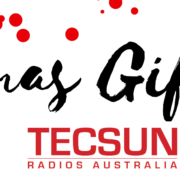 https://www.tecsunradios.com.au/store/wp-content/uploads/2015/02/tecsun_logo_Artboard-1-300x112.png 0 0 Michael https://www.tecsunradios.com.au/store/wp-content/uploads/2015/02/tecsun_logo_Artboard-1-300x112.png Michael2019-02-03 09:00:392019-02-01 12:59:46Announcing the winner of Tecsun's #DecodeToWin competition!